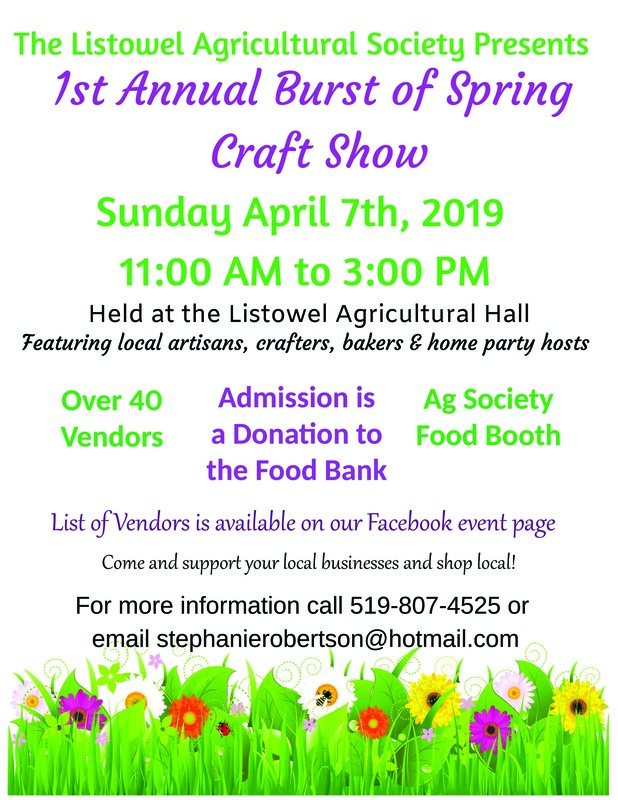 Mark your calendars and join us for our 1st Annual Burst of Spring Craft Show. 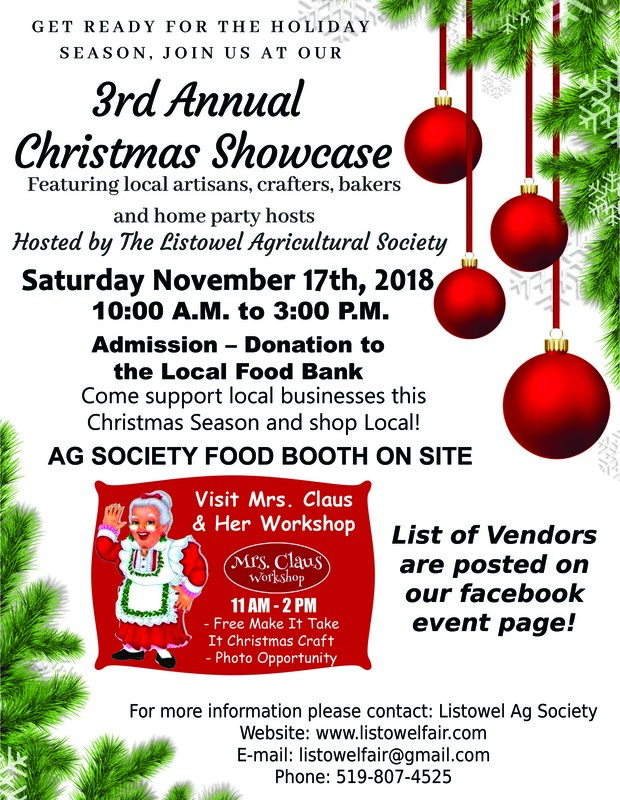 With the success of our Christmas Showcase we have decided to run a show in the Spring. 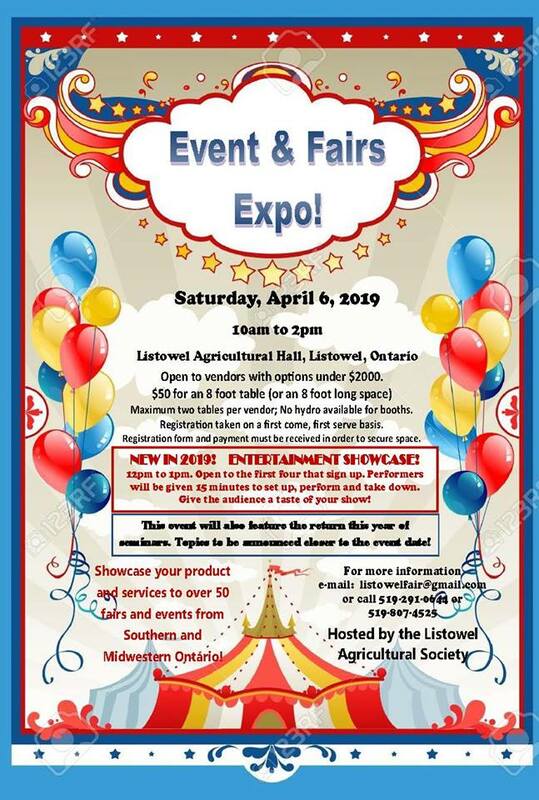 It takes place on Sunday April 7th, 2019 from 11 AM to 3 PM and Admission is a donation to our local food bank. Tables are available for $25 Each and can be booked via email stephanierobertson@hotmail.com or by calling 519-807-4525. 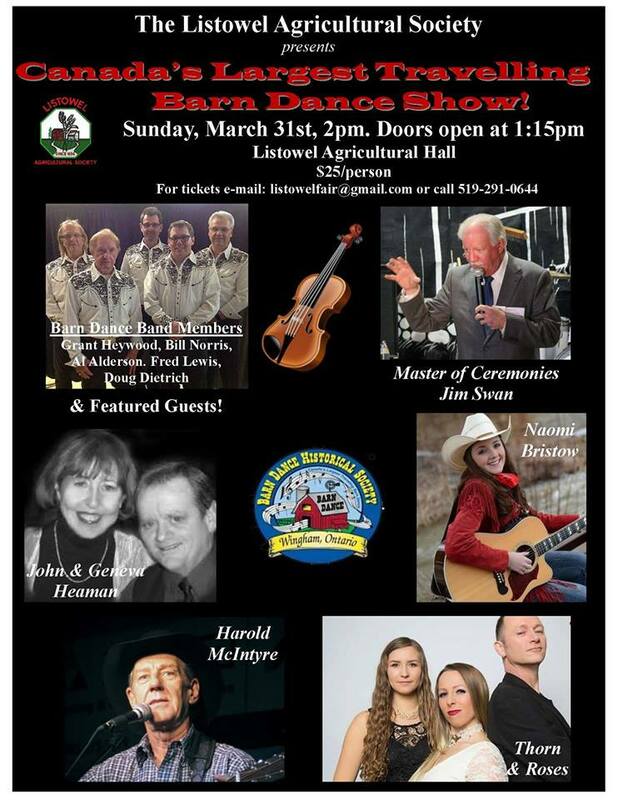 Yuk Yuk’s Dinner & Shows, hosted by the Listowel Agricultural Society at the Listowel Agricultural Hall. 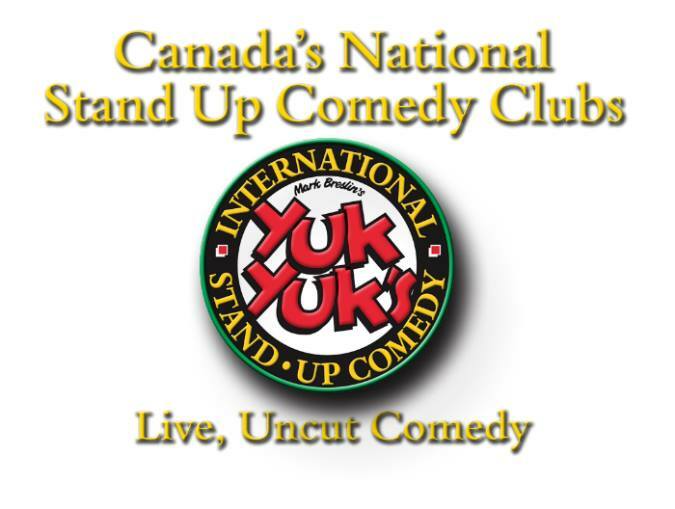 Social 6pm; Dinner 7pm; Show 8pm, $40/person (includes dinner & show). Age of Majority only. Show contains adult content. Reserved seating available.